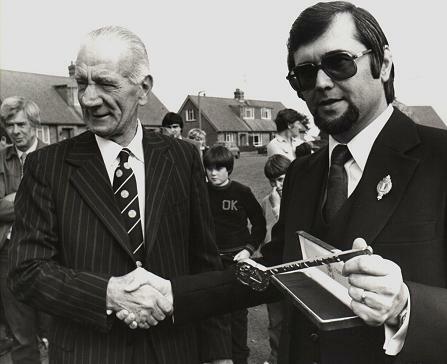 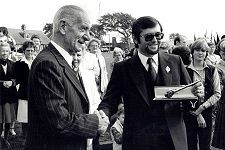 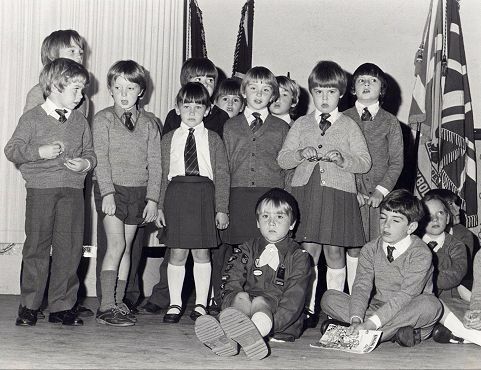 Duncan Cron was Maybole Citizen of the Year when the French twinners visited Maybole in 1982 and here presents Michel Berson, Mayor of Crosne, with the key to Maybole . 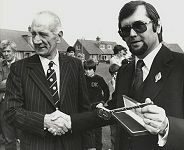 Michel Berson (right), Mayor of Crosne, accepting the key to Maybole from Duncan Cron. 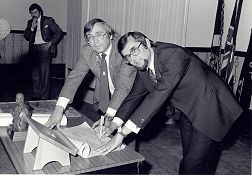 Interestingly Crosne is pronounced the same as Cron. Alan Harvey presents a bust of Robert Burns to Marylene Laug, deputy Mayor of Crosne. 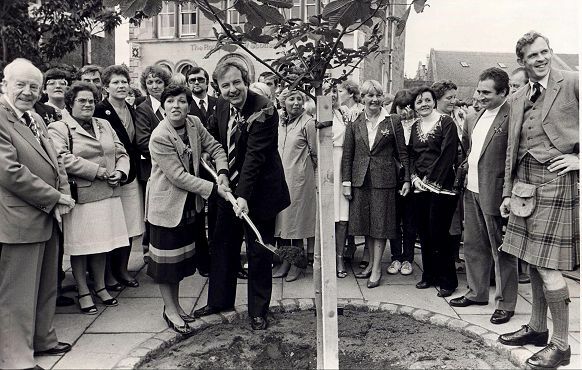 Alan owned a butcher's shop in Maybole High Street which had a bust of Burns to mark the the fact that the parents of Scotland's National Poet first met at a market in the street and were married in Maybole. Pupils of St Cuthbert's Primary School who took part in the celebrations in Maybole Town Hall. 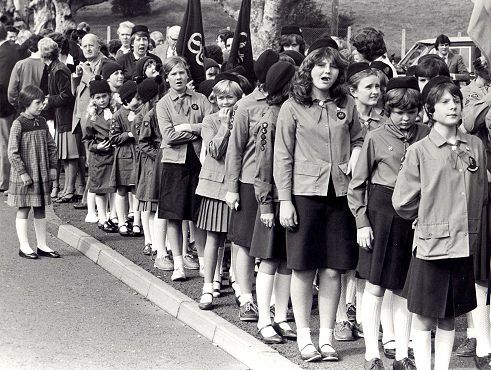 Maybole guides took part in a parade from the top of Garderose Path to the Town Hall.